REDI Videos – REDI | Regional Economic Development Inc.
Columbia and Boone County, Missouri, as an excellent location for businesses to thrive. The partners in REDI work together to ensure the economic vitality of Columbia and Boone County. REDI helps our region’s existing legacy companies succeed and create more jobs for our community. REDI’s Innovation Hub clients share their insights on their businesses, the startup world, lessons they’ve learned, and other topics just for fun, too. Why Be an Entrepreneur in Columbia? Why Work at the Innovation Hub? When Did You Realize You’re an Entrepreneur? Columbia Taking Flight – History of air service in Columbia. 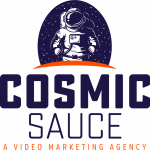 Thanks to REDI Innovation Hub client Cosmic Sauce for producing our REDI videos.